Consider photographing cemeteries on your genealogy hunt, taking gravestone pictures of the family tombstones you find. Take at least two photos of each marker. The first one should be from far enough away to show the whole monument or stone. The second should be a close up so you can read the inscription in the photo. Also write down the inscription. As part of photographing cemeteries you might also take a photo of the sign with the location name on it. The combination will give you a record of the stone, the location, and the inscription on the stone for your records. Remember to record and photograph all the source information as well for this stone. This would include the name of the cemetery, the location of the cemetery (including township, name of town/village/city, street address if there is one), date and time of your photograph, and church or government affiliation. If you have a GPS (global positioning unit) in your car or your phone, note the coordinates and record them along with the other information for future reference. It is not uncommon to find an abandoned cemetery once, and then you cannot find it again! 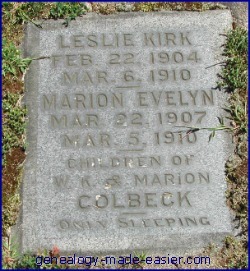 It is also wise to record the location within the graveyard where this grave headstone is found. This can include the road name, the row number, plot number, and stone number for any of these that are available. Sometimes the best you can do is to take a picture of the cemetery monument from a wide angle to include any visible landmarks that would help locate the stone in the future. Also, in a very large cemetery, GPS coordinates of the actual gravestone can help someone find the stone again. If you use a digital camera you can store the images on a computer disk and also easily share them with other family members.